For Mastering projects you only need to send us the mix stereo version of your audio in today’s best audio quality (usually 44.1kHz Wav format). For our mixing we only deal with 2 stems at this time. This keeps your costs down and allows us to get you high quality mixes faster than any other company who are overloaded with work. Please export your acapella files into one Wav file and export just your instrumental until you are left with just two files. Please turn off all effects, compression, limiters, EQ, reverb, off before you export your audio. If you like anything else that contributes to the performance like autotune or chorus effects you can leave on. Then you would put your 2 audio tracks, and any mix & mastering requests into a folder named exactly after your song name. Then zip the file (if you don’t have WinZip or don’t know what a Zip is please visit here http://www.winzip.com/win/en/zip-file.html). Naming of your Zip file should be in the format of YourName-SongName-bpm which would look like TestArtist-WinnersTheme-88bpm.zip. We accept Visa, Mastercard, Discover Card, Debit Cards and PayPal. Wire transfer, QuickPay, Cash App also accepted upon request. Why are you prices so much more affordable than everyone else? Because we are artists such as yourself we know that finding great quality at good prices is EXTREMELY hard when it comes to mixing and mastering. So in order to solve this challenge we decided to only mix and master 2 stems at most. This allows us to “2 track” mix all of our projects thus lower our costs and speeding up the time with which we can deliver our work for you. Nobody online will be able to compete with our speed, quality and prices because of our unique approach to cost effective high quality mixing. Revisions are changes or edits you would like made to your Mix & (or) Masters once they have been sent to you. Revisions are available for minor adjustments after we deliver our mix for your review. Edits or updates to your instructions submitted on the mixing form. Adjusting the volume of your instrumental or vocal tracks. Requesting adjustments to mixing effects used on your instrumental or vocal tracks such as reverb, delay, treble/bass boost, etc. Does not include adding any additional instructions not included in your original mixing form submission. For clarity sake, you’ll have up to 5 days from the date we send you your mix to request free revisions. After each revision is completed by us, you have 2 days to request another free revision. After you have reached your allotted 3 free revisions your project is considered complete and you no longer can requests any more free revisions. If you you requests a revision after your project’s been completed you will need to order a revision mix or master which you can view on our pricing page here Pricing Page. Remember that once you approve your mix or master you will be unable to request free revisions even if you still have free revisions available. By confirming with us that your mix or master is complete, nullifies your remaining free revisions and you will have to incur a slight revision fee for any future revisions. How good are your mixes? Excellent! Our team of audio engineers pride themselves in treating your music like their own. Spending hours everyday perfecting sounds for clients around the world. We think our mixes are the best 2 track mixes in the business and believe our services can stand with the best available now on the market. We are high quality and lightening fast, that’s our motto. We’ll get you your mix and master within 72 hours! If you need it even faster check out our rush service requests for same day, 24 hour, and 48 hour services. This Service allows you to have your songs mixed & (or) mastered by a professional mix (or) Mastering Engineer and obtain downloads of the mixed & mastered songs “tracks” from either our e-mail, dropbox or website. We take precautions to protect your information. When you submit sensitive information via our website or e-mail, your information is protected both online and offline. This includes your audio files, name, phone number, address, email and any other info you may send us. We also safeguard your personal information from unauthorized access, through access control procedures, network firewalls and physical security measures. This website contains material which is owned by us, licensed to us, or consent was given to use it. This material includes, but is not limited to, the design, layout, look, appearance, audio files and graphics. Reproduction is strictly prohibited and will be prosecuted to the fullest extent of the law. Unauthorized use of this website may give rise to a claim for damages and/or be a criminal offense. Payment must be made in full before any work on your material. We provide a collection of audio samples of our past work. The samples provided have been Mixed and (or) Mastered to the clients specific tastes and liking. The samples are not how every project will sound so if you hear something you don’t like, just remember you have complete direction of how every aspect of your projects sound. We offer directions on how to correctly put together and submit your audio for our mixing and mastering work. The customer is accountable for following these instructions before uploading and submitting any audio files. The audio quality of your vocal and instrumental performance and files. The quality of the one track instrumental. The quality of the one track vocals. Configuring your audio material before sending it over to us. Complete musical arrangement for your vocals and instruments layout. Making sure any audio files needed for us to complete your purchase have been included. Submitting your audio material properly by following the instructions set forth by us. Sharing with us any additional notes or suggestions for mixing or mastering your audio files. Providing proper spelling, punctuation, track numbering, naming convention, your contact info and any additional credits. Providing cover artwork (if applicable) and making sure it is as you want. You own the copyrights for any audio material you have uploaded or sent to us. You will not hold us liable for any issues or disputes that arise for your lack of ownership and rights over any audio material you upload or send to us. Entering your correct email address for us to send you your invoice, receipt, and any other pertinent info regarding your purchase. If the customer’s audio file is not organized or submitted correctly we will either reject it or the services will be delivered to the customer using the audio material the way it was provided to us. For Mixing, Mastering, or Mixing & Mastering, our turnaround timer begins once we have received a paid invoice from you. We will then begin work and will share a review copy of your work within 72 hours. Our final completion date may vary as it is heavily dependent on when our customer replies to our review copies and how many revisions if any they may request. When our customer informs us that they are satisfied with our work and it’s completed we will then email the customer the full finished copy of their mixed or mastered audio file. Turnaround time for Revisions — 72 hours. Orders are completed in the order in which they are received unless rush service is selected. All turnaround times stated on our website or by e-mail are only an estimation. For any reason the turnaround time may be extended by hours or days after purchase. Remember that once you approve your mix or master you will be unable to request free revisions even if you still have free revisions available. By confirming with us that your mix or master is complete, nullifies your remaining free revisions and you will have to incur a slight revision fee for any future revisions. Not currently offered at this time. Check back soon as we may be offering this service in the future. We will attempt to keep on our servers your uploaded files for at least 14 days after your purchase and upload. After 14 days all files you have uploaded may no longer be on our server and you will have to upload your audio files again should you wish to make adjustment. After this point, revisions, radio edits, instrumental exports, performance exports, acapella exports and processed stem exports will no longer be an available option to purchase for the specific song. Un-less you re-send your material and have the song mixed and (or) mastered again. From time to time we may offer discounts or specials. These are time based and limited by their own rules and regulations listed next to each discount. When a client orders a service during the time of the sale, the client understands that the sale is final, meaning there will be no refunds or credit honored, even if the work has not yet been completed. The client also understands that there will be no set turnaround time for the order made during the sale. Rendering of orders made during a sale is done in first come first serve order. If rush delivery is available at the time of a sale, the price of the rush delivery will not be discounted. 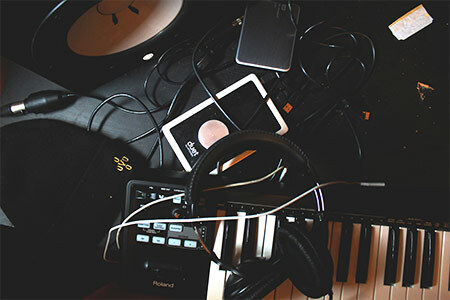 Lassicbeats.com services are electronic non-tangible irrevocable goods. We believe in keeping our customers happy. If you are unsatisfied with your results we are willing to make any small changes and adjustments free of charge (Before Mastering). We will gladly offer a full refund if you have paid and no work has been started by our team at www.lassicbeats.com. However, if work may have already started, but not delivered in review or final form, then we may issue you credits towards our services for the amount of the services you have purchased at the time of your refund. These credits must be redeemed within 5 days after being offered by www.lassicbeats.com. Be advised, it’s your responsibility to read in full and understand (or ask us questions) regarding our refund policy BEFORE you purchase any of our services. By purchasing any of our services on www.lassicbeats.com, you automatically consent to all of the terms listed under “Mixing & Mastering Terms and Conditions”. As our customer, you are fully and solely responsible for reading our terms and conditions to make sure you agree with the rules and regulations of purchasing our services. You are also able to read and review our helpful questions & answers for various popular questions within our Mixing & Mastering FAQ section. You are responsible for reading, reviewing, and asking questions regarding any service you wish to purchase on www.lassicbeats.com before you place an order. By making any purchases of services on www.lassicbeats.com, you state that you have read and agreed to our Mixing & Mastering Terms & Conditions and Refund Policy. Lassic Beats (www.lassicbeats.com may at any time, without notice to you and in its sole discretion, amend this Mixing & Mastering Terms & Conditions, or Refund Policy from time to time, without notice, and the changes are not prorated.